Looks amazing! As usual, I've been thinking about this for a few minutes and wondering at all the possibilities .. do you think it might be possible to make a 'mode' for the Exos whereby you can play a normal game, attribute-clash and all, on one Oric, while another Oric is dedicated to the task of detecting the attribute class bytes from the first Oric, and then 'overwriting' the clash characters with appropriate graphics codes which cover up the attribute clash? Like, on "Doggy", the second Oric in the Exos stack could be used to produce a 'mask' on the regions where the attributes would normally clash, and .. due to "some priority scheme" .. results in there being no clash in the final frame? I dunno, its just a thought .. I always start wondering when you post progress .. its just such a delightful project, and I have to admit to having eyed my stack of Atmos' a few times already, to see how far I'd be willing to join in creating the Exos platform ..
Re-captured and merged previous "color bars" and "more color bars" demos. @ibisum: I think it's possible to use more Oric's to "retouché" old games but it will be not easy task. Some news in twitter style: OricExos works perfect with my cumulus! So write+compile+test cycle is even fun . Small update about the progress (sometimes thing happen slower than you wish). Firstly I connected the 4 Orics with simple ribbon cable - all lines are straight only master's STB is crossed to slaves's ACK. I made some tests and the speed was incredible but during the preparation of the demo I suddenly realized that this simple wiring will just 'simple' break any sound! This is only how the expansion board will look like when it's ready (hopefully very soon). It will be the same for master and for slaves (some parts will be not soldered for master because the RAM overlay will be enabled from the microdisc or cumulus). For the sound, I guess that's the usual problem that joystick interfaces on parallel port had? when all VIAs start to write together to their AY then there will be smoke . In regard to video output we already have RGB and Composite/S-Video. 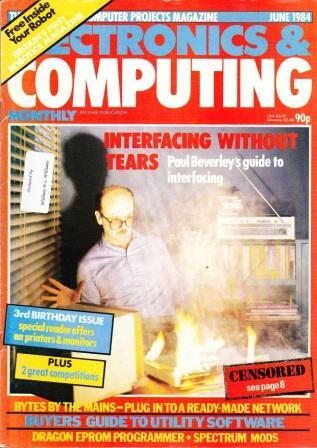 @mikeb: Good memories and yes, 'interfacing without tears' is always the preferred case. Indeed, great work! I'm thinking this new PCB you've designed might make it moderately easier for some of us to build our own OricExos's? Apart from the de-soldering of the ULA, I suppose ..
Ok, but please, please... don't destroy working Orics. I bet the community will regret that in the mid-term. This experiment is amazing and I am following it with a lot of interest and anticipation, but it is nothing more than an experiment. Many people like to enjoy their retro machines as they were designed to work (me amongst them), and want to keep them unmodified. There is a huge retro community (in Spain, notably) that are acquiring Orics, disk controllers and other hardware add-ons to enjoy them. And their price is already going quite high (200 Eur or more on ebay now). Maybe you own 4 of them or still may find them quite cheap around you, but that is not the case for everybody. I am by no means going to expend such an amount on a second Oric, and I cannot imagine what could happen if mine one day breaks down. It is a bit surprising that nobody in this community started such a project, or even a core for those already working on FPGAs... but that is another matter. It is a fair point: with the ULA reverse engineered, someone clever should get on the FPGA wagon and give us a clone we can demolish, or so. That'd be really, really nice in fact and I agree with you 100%. But to answer your first point, I have a collection of Oric's (8x Atmos, 2x Oric-1, 1x Telestrat) which I've been maintaining in operational condition for decades now - and this is precisely the sort of project I want to use some (not all) of them for .. I long ago dreamed of having a multi-timbral Oric-based synthesiser, and the OricExos is definitely one of the more attractive paths towards that goal. Maybe there are less destructive ways to achieve this (definitely, in fact) - but then I wouldn't have all the other nice things OricExos brings to the table. And anyway, I haven't done the mods yet. I'm just dreaming about it. I cannot imagine what could happen if mine one day breaks down. Imo, if your oric break downs, all you have to do is to ask here, and I'm sure you'll get half a dozen offers, either from people on the forum, or the CEO. Regarding making clones, sure, that would be nice for the development, it could output directly on HDMI, have built in communication, even a turbo mode, etc... but as for the Exos, that would be absolutely a non interesting project: There's is zero challenge in making new hardware display more colors, the whole point of the Exos project is to make some 1983 hardware do stuff that was not planned for.